Capacitive deionization (CDI), sometimes called electrochemical demineralization, is referred to as Radial Deionization (RDI) by Atlantis Technologies, which has developed a proprietary form of the process. 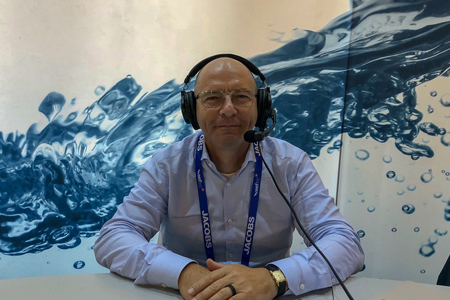 If you haven't heard of it by any name, or would like to know more about its considerable treatment capabilities, tune into this interview with Patrick Curran, Atlantis Technologies' CEO and founder. Curran discusses a number of partnerships Atlantis has entered into that promise to expand the popularity of CDI/RDI. Applications include industrial water/wastewater, with particular focus on oil & gas, mining, and pulp & paper waste streams, as well as feedwater/blowdown water for cooling towers. Still relatively new, the technology has environmental and cost-saving benefits that are described within the podcast and help to explain its growing appeal.